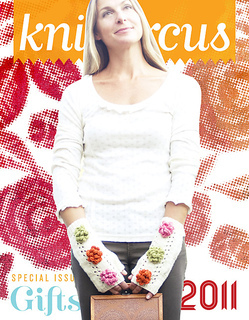 This pattern is available from knitcircus.com for $4.50. 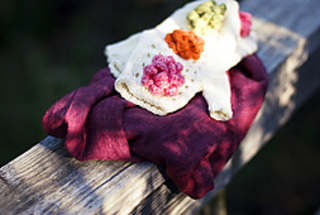 Delightfully simple mittens and easily customizable (think one color or monochromatic, handspun! 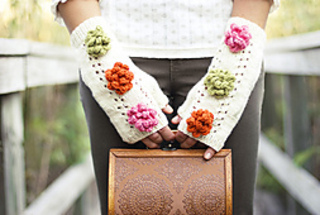 ), these are worked in the round with long ribbed cuff, then they flow into a slouchy mitt that is has a band of discrete eyelets and finished with a column of knit flora. They are perfect for that supple, special skein of buttery yarn.